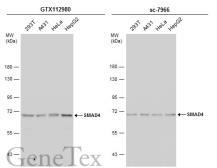 Specificity/Sensitivity : This antibody does not recognize the delta exon 11 splice variant of BRCA1. 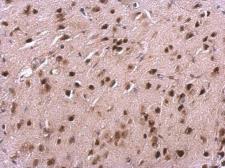 In a high proportion of breast and ovarian cancer cell lines, BRCA1 aberrantly mislocates to the cytoplasm. Specificity/Sensitivity : This antibody recognizes BRCA1, a 220-kDa nuclear phosphoprotein, and does not recognize the exon 11 splice variant. Mutations in this tumor suppressor gene greatly increase the risk of breast cancer. 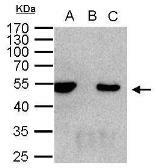 Specificity/Sensitivity : This antibody recognizes full-length BRCA1, a 220-kDa nuclear phosphoprotein. Mutations in this tumor suppressor gene greatly increase the risk of breast cancer.